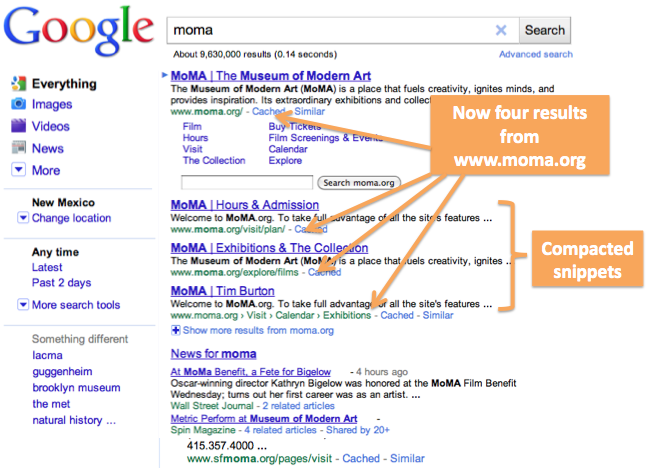 for certain types of queries -- this helped searchers get to their desired result even faster. 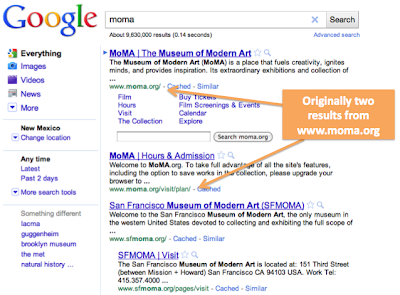 Today we’re expanding the feature so that, when appropriate, more queries show additional results from a domain. As a webmaster, you’ll appreciate the fact that these results may bring targeted visitors directly to the pages they’re interested in. 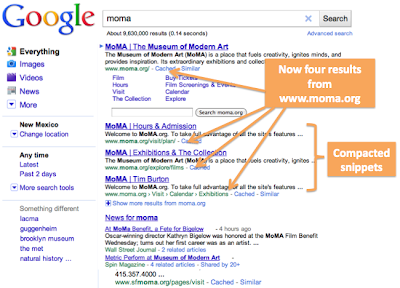 As before, we still provide links to results from a variety of domains to ensure people find a diverse set of sources relevant to their searches. However, when our algorithms predict pages from a particular site are likely to be most relevant, it makes sense to provide additional direct links in our search results. Like all the hundreds of changes we make a year, we’re trying to help users quickly reach their desired result. Even though we’re constantly improving our algorithms, our general advice still holds true: create compelling, search-engine friendly sites in order to attract users, buzz, and often targeted traffic! Recently we made a change to show more results from a domain for certain types of queries -- this helped searchers get to their desired result even faster. 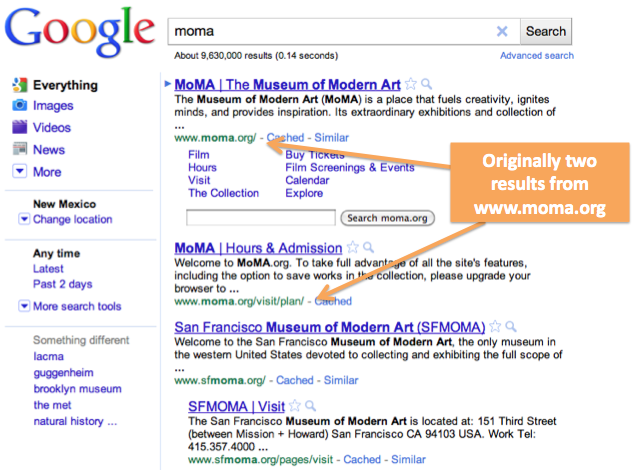 Today we’re expanding the feature so that, when appropriate, more queries show additional results from a domain. As a webmaster, you’ll appreciate the fact that these results may bring targeted visitors directly to the pages they’re interested in.